Have you ever thought of owning your own Holiday Home? 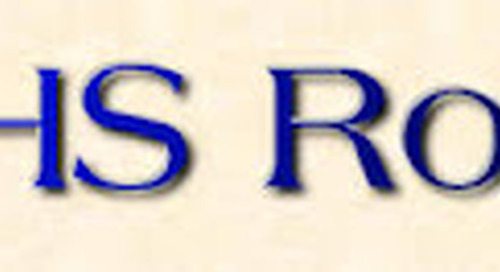 If the answer is yes, then why not come and view the caravans we have for sale! 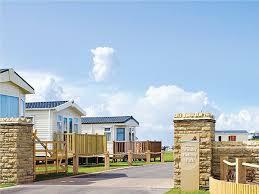 We have a range of caravans to choose from and also a choice of pitch on which to put your new Holiday Home! If you are looking for the home from home feel, then look no further as our new stylish caravans offer you everything you need which you would find at home, from central heating, to comfy seating and some even have USB points with the plug sockets! So no need to fight over plug spaces to charge your phones or other mobile devices!! This is the layout of the Sandhurst and as you can see the lounge is nice and cosy with wrap around seating area. Insulation to all exposed water pipes. I'm sure you will agree that the Sandhurst offers the combination of style and comfort, making those special summer evenings special to enjoy with all the family. The key features that are bang on trend for 2017 are the USB points in the lounge and bedrooms along with the pastel yellow decor throughout the caravan. double bedroom and twin bedroom, bathroom with shower, WC and sink and then a separate WC and sink, makes this Holiday Home perfect for all the family. 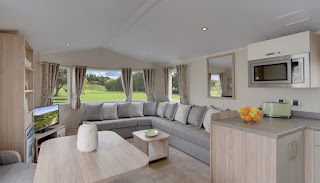 The Victory Torino brings the outdoors in, with the panoramic views you can enjoy thanks to its 3 panel windows allowing a lot of light into the lounge area hence giving the illusion of the outdoors coming in. The spacious living area includes ample storage making this holiday home practical for storing all the kids toys etc! 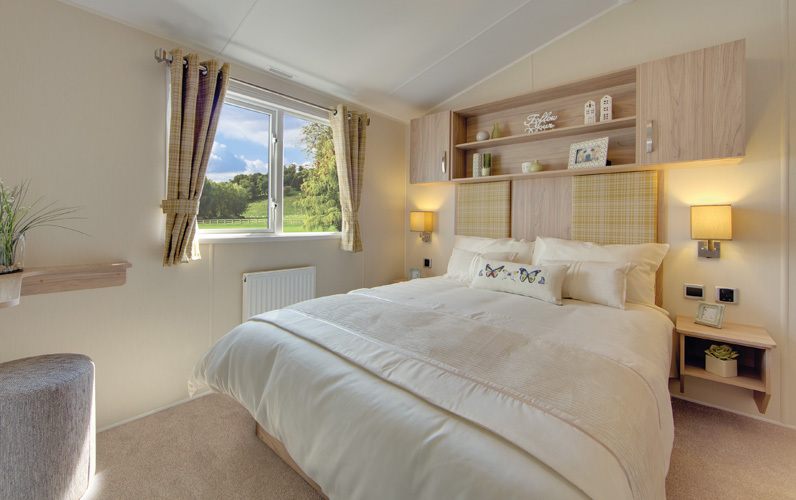 The Torino boasts natural tones throughout giving the feel of a very relaxing and calming environment for all the family to enjoy or as a relaxing get away for couples who like to enjoy time to themselves! This is the typical layout of the Rio Premier. With wrap around seating to the front of the Holiday Home, giving the comfy home from home feel. 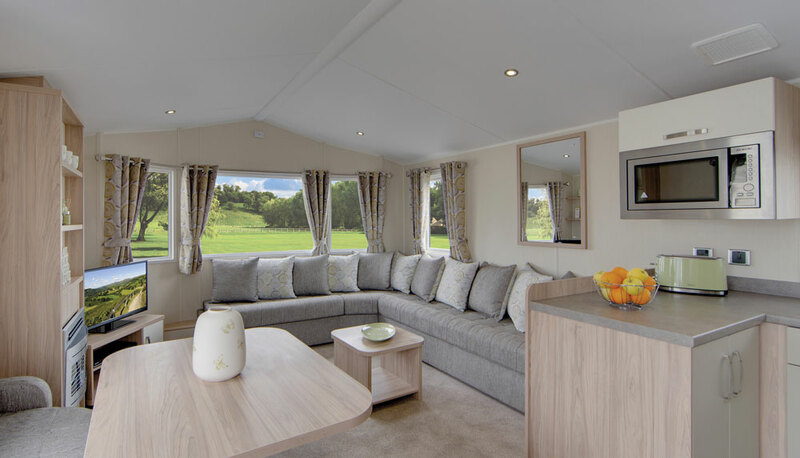 The Rio Premier has a zesty colour scheme throughout the Holiday Home, creating a light and airy feel throughout. As you can see the Holiday Homes are very luxurious and modern. We are located perfectly for a nice stroll into Whitby or for the more adventurous of you there is the walk to Robin Hoods Bay which is around 5 miles. 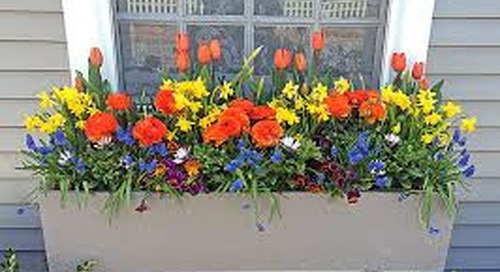 We look forward to welcoming you to our park and showing you what we have to offer!